Alpha testing is the initial phase of validating whether a new product will perform as expected. Alpha tests are carried out early in the development process by internal staff and are followed up with beta tests, in which a sampling of the intended audience actually tries the product out. Products typically go through several stages of trial prior to their release to a mainstream audience. The alpha test phase is closely associated with proof of concept (POC) efforts. 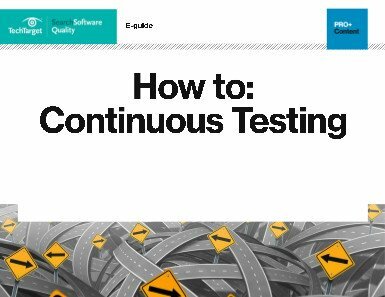 Using the first two letters of the Greek alphabet to differentiate internal testing from customer-facing testing originated with software development, but the labels are now used by product engineers in many industries. In software development, the concept of alpha and beta testing is often associated with classic waterfall design models in which one development phase must be completed before the next one can begin. In DevOps and iterative approaches to software development, such as continuous integration (CI) and continuous delivery (CD), the formal alpha/beta concepts simply do not apply. Instead, every CI/CD iteration is an alpha test, and in effect, alpha testing never ends. Alpha testers assess the inner workings of the technology itself, a step that’s also referred to as white box testing. Alpha test participants tend to be engineers who have the necessary knowledge to give developers technical feedback and advice for how to fix what’s wrong. In the first phase of alpha testing, participants typically look for major bugs and feature flaws that will stop the product from performing its intended functions. For example, suppose that a software product was intended to support a large number of simultaneous users. Alpha testing might include load tests to ensure the underlying code and physical architecture can support the product’s functionality under various conditions. A second phase occurs when developers turn the software over to quality assurance (QA) professionals for additional tests in a staging environment that is similar to the production environment. Tests are conducted in a staging environment so if there is a major flaw and the system breaks, the production environment won’t be affected. Alpha and beta tests are both types of acceptance tests. During alpha testing, data is not real and typically, the data set is very small in order to make debugging and root cause analysis easer. Beta test participants are potential customers who have agreed to test a possibly unstable application. The users create their own data sets and the test focus changes to usability and evaluating real-life performance with multiple users using their own hardware.